Tyre Fitting in Chester could not be easier. With TyreFitDirect we can supply and fit tyres to nearly all UK mainland destinations either on one of our mobile vans or at one of our depots. So if you are looking for tyre fitting in Chester you have just found your local online supplier. We fit tyres on almost all makes, models and derivatives of cars and vans and are available either online or on the phone. At TyreFitDirect we pride ourselves in offering some of the best deals on the web. Please peruse our site to check out some of our offers. We look forward to fitting tyres for you in Chester soon. TyreFitDirect, the Chester tyre fitting company of choice. Chester is a walled city in Cheshire, England. Lying on the River Dee, close to the border with Wales, it is the largest and most populous settlement of the unitary authority area of Cheshire West and Chester, which had a population of 328,100 according to the 2001 Census, increasing to 329,608 at the 2011 Census. 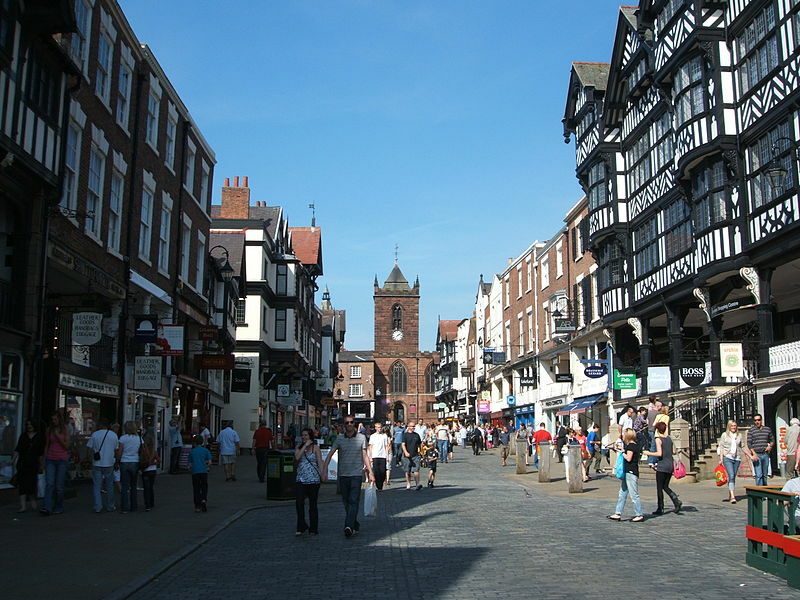 Chester was granted city status in 1541. Chester was founded as a “castrum” or Roman fort with the name Deva Victrix, during the reign of the Emperor Vespasian in AD79. One of the three main army camps in the Roman province of Britannia, Deva later became a major civilian settlement. In 689, King Æthelred of Mercia founded the Minster Church of West Mercia, which later became Chester’s first cathedral, and the Saxons extended and strengthened the walls, much of which remain, to protect the city against the Danes. Chester was one of the last cities in England to fall to the Normans. William the Conqueror ordered the construction of a castle, to dominate the town and the nearby Welsh border.